Van Kempen craftsmanship gives this bold bracelet an airy touch in an ornate Victorian design. 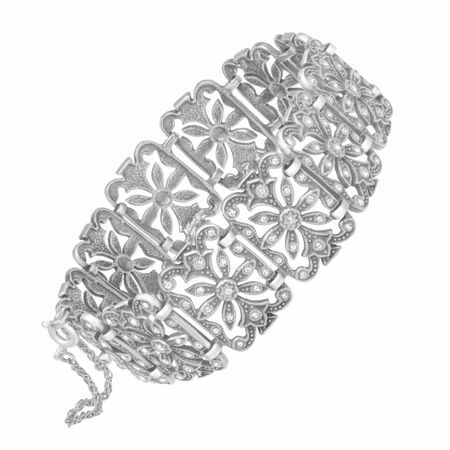 Link bracelet features a stylized floral motif encrusted with Swarovski crystals in sterling silver. Piece measures 8 by 3/4 inches.